While the trucking industry is still feeling the hit of the driver shortage, new and old truck drivers are reaping the benefits. The Wall Street Journal reported that the average pay for drivers is up 17 percent and perks for drivers don't stop at pay raises. WSJ noted that freight hauler companies are offering significant signing bonuses as well as decking out company fleets with high-tech TVs and other luxury items to make life on the road more enjoyable. These efforts combined with the largest pay raise in decades are all attempts to retain veteran truck drivers while attracting additional employees. WSJ explained that many truck drivers are forced to drive 11 hours a day for multiple days of the week all while sleeping in their truck's designated quarters. 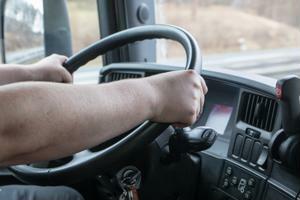 With such difficult conditions, recruitment and retention of drivers is no new issue for trucking companies. In fact, the source said that the average trucking company replaces all of its drivers on a yearly basis. However, with the strength of the dollar increasing, the demand for transportation of imported goods is growing and the lack of drivers, both new and old, is becoming more of a concern. "Everyone is fighting over the same drivers," said Director of the Intermodal Freight Transportation Institute at the University of Memphis Dan Pallme, according to WSJ. "Eventually, what has to happen is salary has to rise, and the only way motor carriers can do that is by increasing the costs to their customers." The overall increase in prices for both driver salary and consumer goods has forced many distributors to take a closer look at their spend management. This has led to some changes within supply chains across the nation. WSJ pointed to Whirlpool Corp. as an example. To mitigate the rising costs of trucks as a means of product transportation, Whirlpool has turned to trains. "Given the fact that the cost of transporting products over the road is rising, it has kind of forced us to rethink our distribution network strategy. Driver pay is a big part of that," said Whirlpool's Vice President of integrated supply chain Jim Keppler in the WSJ article. As illustrated by Whirlpool, the problems within the trucking industry have forced supply management leaders to seek out forms of strategic sourcing. The trucking shortage has been an ongoing problem since 2014 and innovative methods of transportation sourcing have reflected that. CBRE reported that the 2014 shortages of drivers would most likely result in a real estate boom due to companies seeking strategically located warehouse facilities. "Rising transportation costs, particularly those associated with trucking, are forcing supply chain users - manufacturers, importers, and exporters - to devise blends of warehouses and distribution centers that will most efficiently service the need for port access while enabling quick delivery to end users in densely populated metropolitan areas," said Scott Marshall, Executive Managing Director of Industrial Services for CBRE. For companies who have not joined the trend of raising drivers pay and are hesitant to increase the price of goods, solutions like CBRE and Whirlpool's strategic sourcing could be the next best bet.